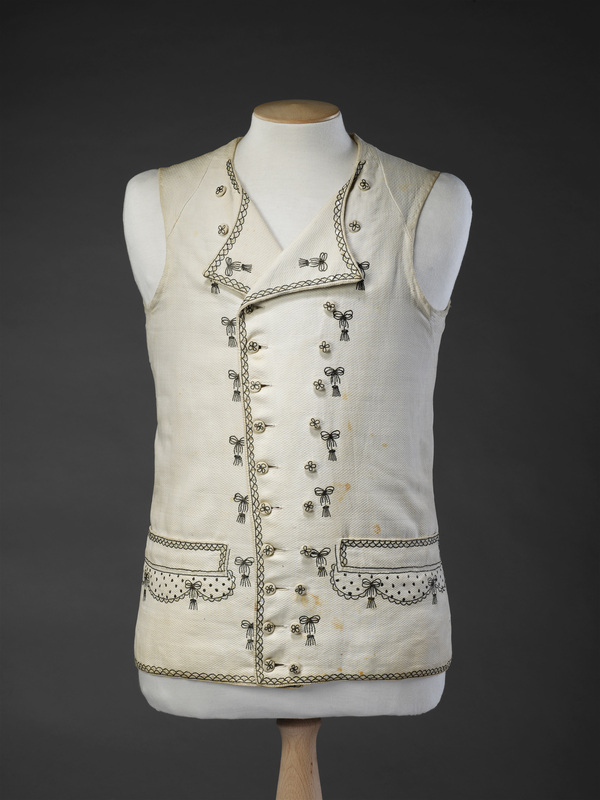 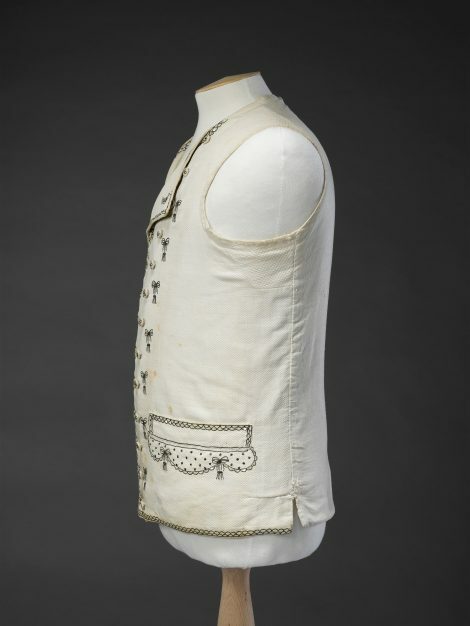 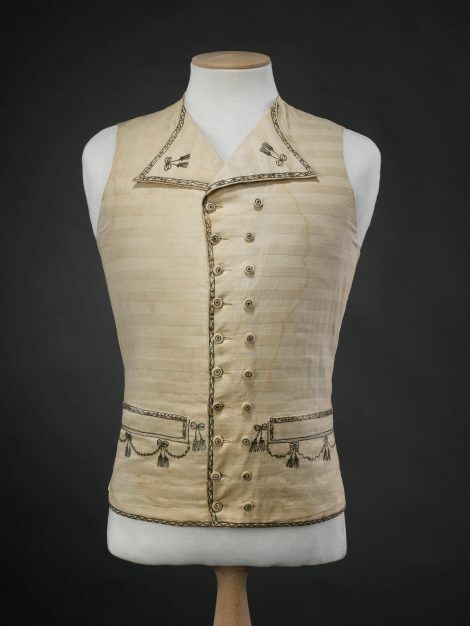 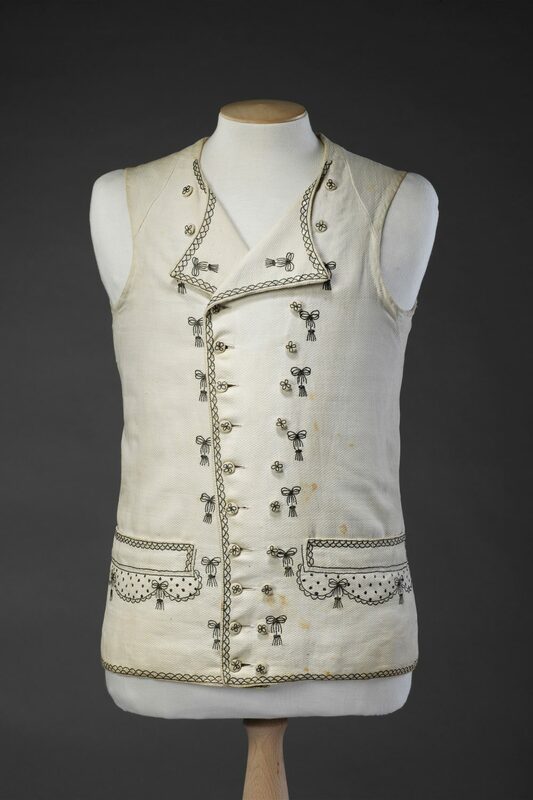 The number of surviving cream or white cotton waistcoats embroidered in metal thread with swags, bows and tassels, suggests that they were a very popular fashion in the last years of the 18th Century. These motifs are characteristic of neo-classicism, a style of the visual arts inspired by the enthusiasm for the remains of the classical past during the second half of the century. 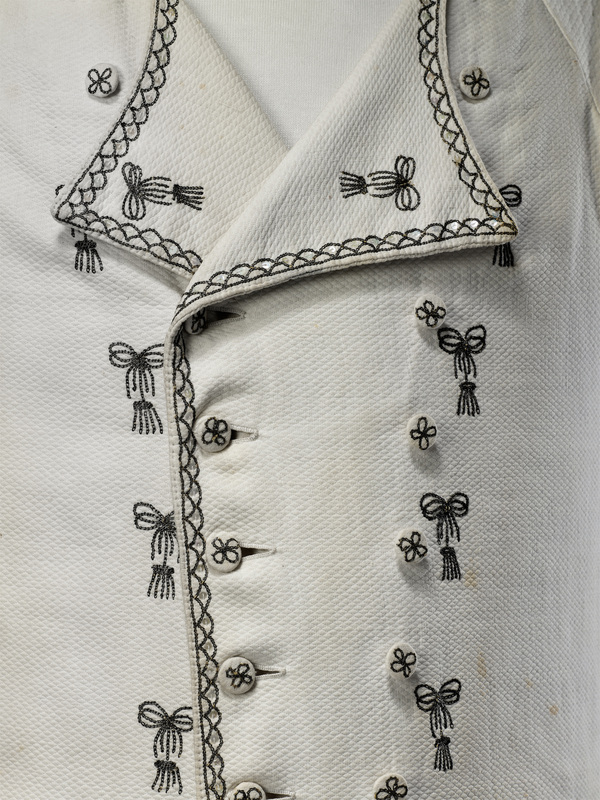 Originally vibrant, the metal thread embroidery of this example has become dark and tarnished with age. 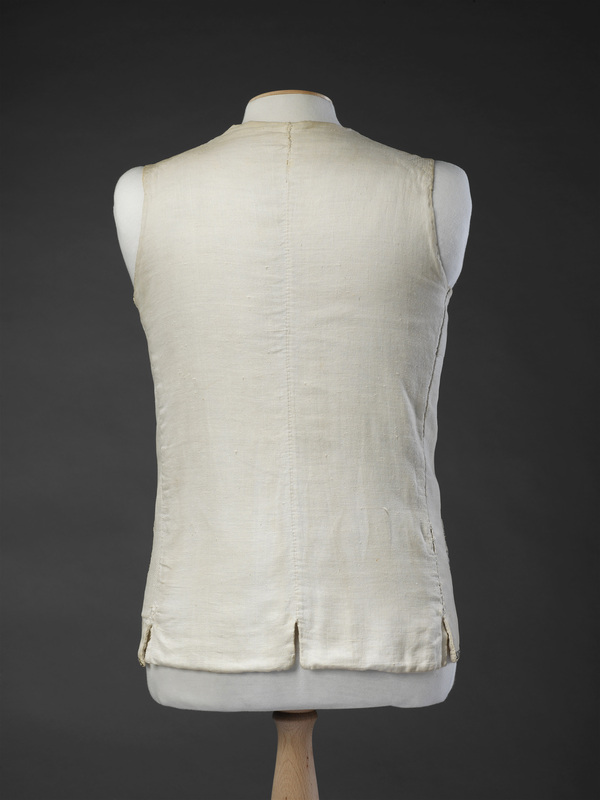 Please see ‘Related items’ for a very similar waistcoat.